The storyline of the Final Fantasy XIV Stormblood expansion will soon see its conclusion. Today’s release of Patch 4.5 A Requiem for Heroes is but part one of that conclusion, with part two releasing in late March. This first patch brings with it a whole host of new quests, trials, and other new content. This includes the first half of Stormblood’s conclusion as well as the final chapter of the Return to Ivalice 24-Man Alliance Raid. The latter will include content from guest creators like Yasumi Matsuno (Final Fantasy XII / Final Fantasy Tactics) as well as Keita Amemiya, creator of the GARO television and film series. In addition to the new quest content, Patch 4.5 also brings with it a new trial for the Four Lords’ quest line, a new dungeon (The Ghimlyt Dark), new custom deliveries, plus new minions, hairstyles, emotes, and mounts. 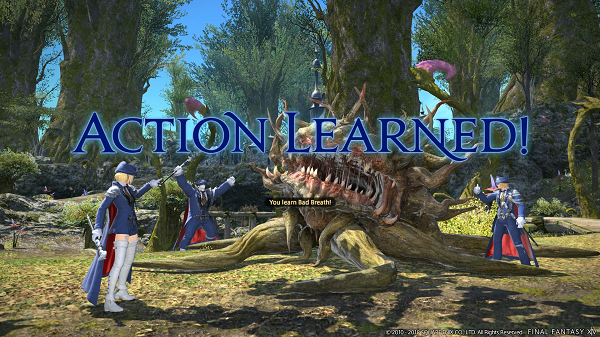 There have also been updates made to content available at the Gold Saucer. These include a new GATE (Air Force One) and a new game (Doman Mahjong). 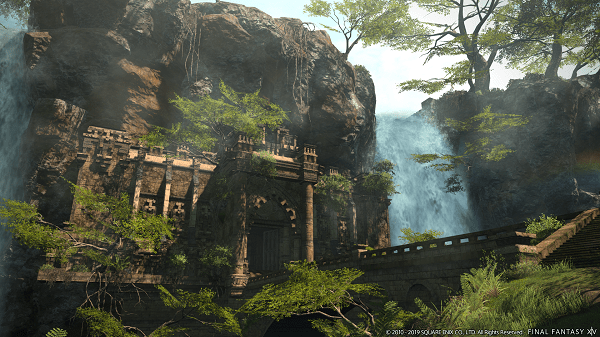 Part two of Patch 4.5 (Shadowbringers) will arrive in late March and will include the second half of Stormblood’s conclusion. The ending of this storyline will set the stage for the upcoming Shadowbringers expansion, which releases in early summer of this year. If players need their fix of fresh content before part two arrives, then they can anticipate the introduction of the new Blue Mage job. Available starting January 15th, this will be Final Fantasy XIV’s first “Limited Job”, providing a solo gameplay experience and allowing players to learn all abilities through fighting monsters. It should be noted that this job will only be available to those players who have attained level 50 in a Disciple of War or Magic class/job or who have completed A Realm Reborn’s main scenario. Minor patches 4.55 and 4.56 will also arrive this year and will continue to add new content to the game. For more details on the Patch 4.5 series, have a look at the full patch notes available on Square Enix’s official website.